I'm very lucky that Scarlett has been sleeping through the night since she was 6 months old. We've been using Pampers since she was born and we rely on the Baby Dry diapers to keep her dry overnight. It's so nice to have her sleep through the night and not wake up due to a wet diaper. I wonder what she dreams about though? I'd have to say her Pampers Dreams are probably based on food! Pampers has recently partnered with Olympic swimmer and mom Dana Vollmer for the Rio 216 Olympic Games. This is her first Olympic Games since giving birth to her son last March. Pampers knows that the big dreams of babies start with a good night's sleep which is why they've created products designed to help little ones sleep comfortably by offering overnight protection. There's nothing worse for a baby than waking up in the middle night uncomfortable and needing to be changed. A good night's sleep for baby means a good night's sleep for mommy and daddy, enabling all to wake up well rested and ready to conquer their dreams. It's hard to believe, but Scarlett will be two at the end of the year. It honestly feels like she was born yesterday. Children grow so fast. I'll blink and she'll be off to kindergarden. It's so sad to think about, but it's also a part of growing up. She can't stay little forever, although I'd love her to. As Scarlett grows, I want her to know that anything she want is possible. She only has one life and she should do everything in it to meet her goals and dreams. Everyone's favorite diaper brand will continue their celebration of the Rio 2016 Olympic games on their social channels through the competitions. You can follow them by searching #PampersDreams. 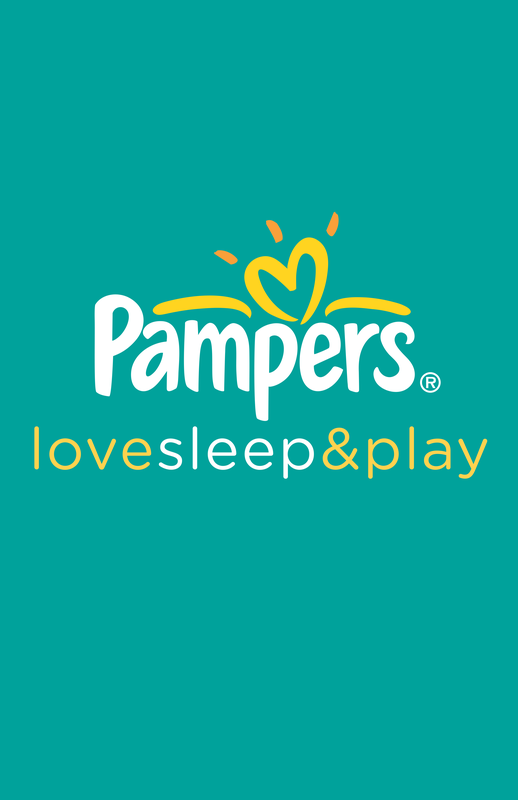 In support of the games, Pampers is hosting an Instagram contest where one lucky winner will receive a $400 AmEx card. Can you imagine how many Pampers diapers you could buy with that?! The rules are simple, post a picture of your little one sleeping and caption it with a big dream that either they have or that you have for them. Don't forget to use #PampersDreams and follow the brand on Instagram either. Maybe you'll be the lucky winner? Since Pampers knows how much my readers love to win prizes, they're offering you a prize too! How does a $50 BabiesRUs gift card and Pampers diapers sound? Don't forget to like Pampers on Twitter and Facebook. “This post and giveaway were made possible by iConnect and Pampers. I was compensated for my participation in this campaign, but all opinions are 100% mine." My dreams is for them to follow their dreams and to know there is nothing they cannot accomplish if they do. My dreams for my children is to be healthy and happy! That they be their true selves and live life to the fullest as good human beings. My dreams for my children is to grow up happy healthy and secure adults who enjoy life and love their family! My little ones are not so little any more. They are teenagers/young adults. My dreams for them are to find a path that makes them happy and successful and to have loving, kind, faithful people in their lives. I just hope she grows up to fulfill any dream she desires to accomplish. My dream for my Granddaughter is for her to achieve anything she wants to do. My dreams is that my children will have happy, healthy, loving and long lives. I have many dreams for my children. I hope they wake up each day ready to live life to the fullest with a smile on their faces. I want them to be happy, healthy, and educated children who can make an impact on their community by helping others. My dream is for them to grow up in a kinder world! My dream is for my son to be healthy, happy and loved. My dream for my little ones is they stay healthy and be kind. My dream for my grandsons is that they grow up to be confident, hardworking, happy, and healthy. I do not have any little ones, but would to see my neighbor's boy's to go to college. I just want them to be safe and be happy. I dream that my son will have tolerance for all people no matter what is "different about them. My dream is that they will always be happy. I dream that my daughter will make me a grandma one day! I dream that my sons will have healthy, happy, and successful lives. I dream for my children to go to college and to do what makes them happy in life. I just want my girls to grow up and live good happy lives. Thank you! I want them to be happy, healthy and make wise life decisions. I want them to be able to achieve all of their dreams! My dream for my daughter is that she will live her life in service of others, stay healthy, and have lots of great relationships! I dream that they are able to follow their own dreams to success. It is my dream that my kids grow up knowing and loving God, and having confidence in themselves. Thanks. i dream that my kids will be happy and healthy. My dreams are that my son is happy, healthy and believes that he can do anything he puts his mind to. For my children to be healthy, happy, wise, and to live life without fear. I dream that they grow up feeling loved and accepted, and of course happy and healthy too. I dream he will have a healthy childhood filled with wonderful memories to last a lifetime! I dream that my grandchildren will grow up feeling loved and safe. I dream my daughters will grow up to be happy and good friends with each other. I dream that my girls will feel loved and cherished. To be strong, healthy, and to find a passion that we will always love. My dream is that they find happiness, good health , always follow their dreams. That my kids will always be happy, healthy and kind to everybody! I dream that my children will be successful. I dream that they will get a good education and find a career that makes them happy. I dream that my children will go to college. I wish for her to be happy and successful! I want my children to grow up with a sound mind and strong character. I dream that they are happy and successful at anything they choose. My dream is that my son grows up to be happy, and finds fulfillment in his life. My dream for my son is to have a great family. I dream that they have a close family and do something they love to make a living. My dream is to pay for her college education in cash. My dream is for my kids to have a happy family of their own. I dream for my kids to go to college and happy and healthy! My dream for my daughter is to be happy and fulfill her goals in life. My dream is for them to be healthy and happy! I hope that they are able to contribute to the world around them and feel good about their contributions. I hope that my nephew stays healthy and active as he gets older. I hope my daughter grows up to be healthy, loved, loving, grateful and curious. My little ones are raised but have always hopes that they find their own success, be happy and be healthy. My dreams are for them to always be loved and happy and stay healthy and positive throughout their life! My dream for my kids is that they will be happy and find things in life that they enjoy. My dreams for my children is that their life is filled with happiness, joy, laughter and good health. I also want them to have compassion for others as well as forgiveness and to always believe in themselves and their dreams.